He was just 4 years old — and a $5,000 reward is being offered for information about his killer. It is a crime to kill any animal protected by the Endangered Species Act — yet Oregon's endangered gray wolves seem to be dropping like flies these days. Just days after an elk hunter shot dead a female wolf, reportedly believing her to be a coyote, another wolf, a 4-year-old male known as OR-25, was found dead. Recent images from a wildlife camera showed OR-25 possibly pairing up with an unknown female wolf to start a family, which would have helped gray wolves come back to the region. A $5,000 reward is being offered for information leading to an arrest of the person responsible for OR-25's death. 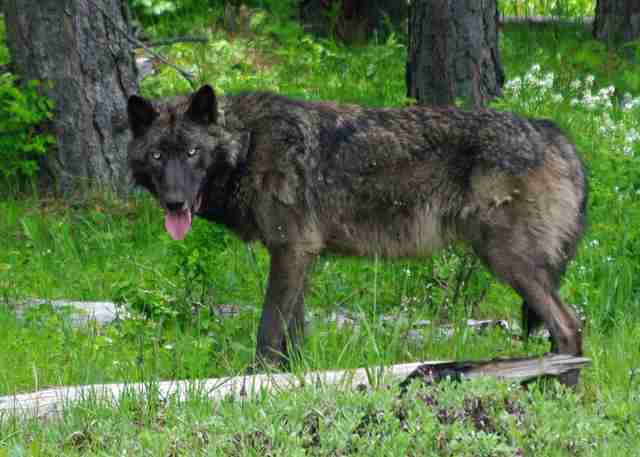 This comes after another endangered wolf, OR-33, was found dead earlier this year, and a female mother wolf known as OR-28 was found dead in October 2016. “We are concerned about recent killings of wolves in this region,” John Heil, deputy assistant regional director of external affairs for the U.S. Fish and Wildlife Service (USFWS), told local news. Conflict between wolves and people isn't very unusual, since ranchers often graze cattle on public lands. When cattle get too close to wolf territory, wolves see an easy meal, and ranchers lose livestock. In some places — including parts of Oregon where the wolves aren't considered threatened — the state can order the killing of wolves in retaliation for such losses. "State-sanctioned killing is more likely to increase poaching than reduce it," Maggie Howell, executive director of the Wolf Conservation Center (WCC), told The Dodo recently. 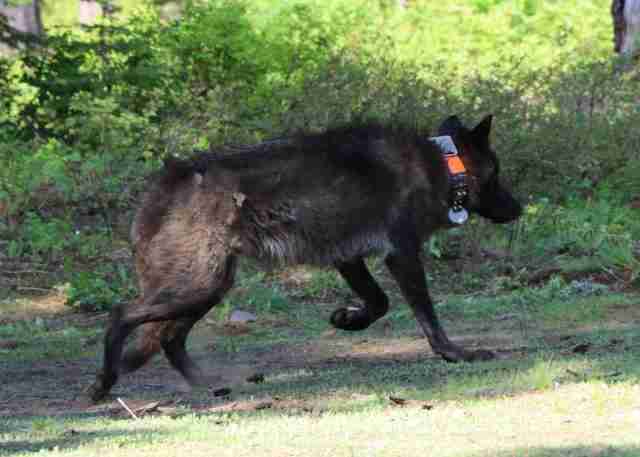 "These two wolves, known as OR-25 and OR-33, were seeking out new territory in the hopes of creating a family of their own," Kierán Suckling, executive director of the Center for Biological Diversity (CBD), wrote in a release. "And now they're gone." According to CBD, at least nine wolves have been poached or died under mysterious circumstances in Oregon since 2015. You can help raise awareness about the threats facing endangered wolves by sharing this story. You can also donate to the WCC or Predator Defense.